NOTS Shop. Support Nerd on the Street and get merchandise! Displaced: Season 1 DVD. Includes exclusive bonus features: directors' commentary, voice acting blooper reel with animation outtakes, and a pilot version of Episode 1. Displaced: Season 2 DVD. Includes exclusive bonus features: directors' commentary, voice actors' commentary, and a voice acting blooper reel with animation outtakes. Join the Nerd Club. 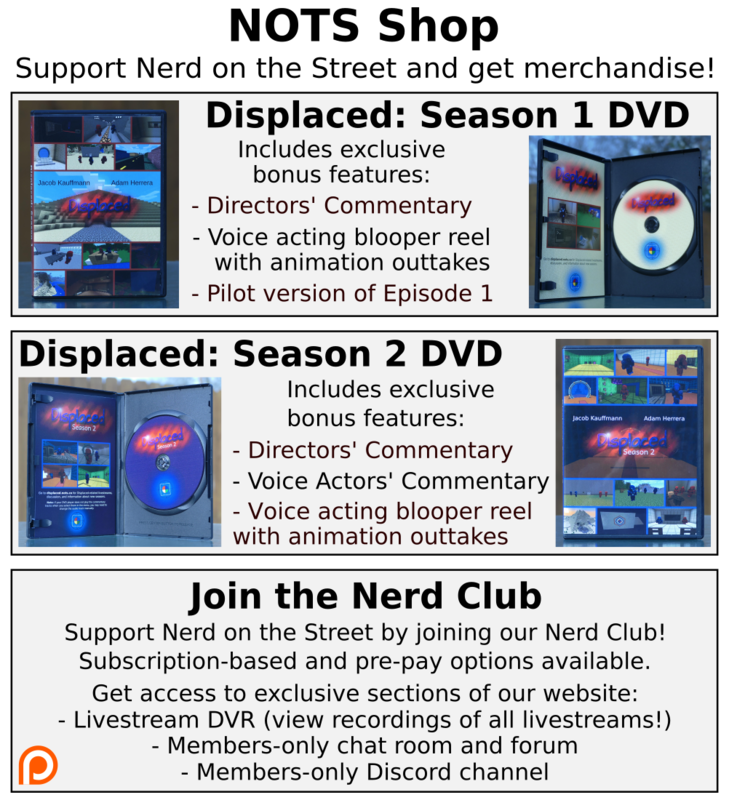 Support Nerd on the Street by joining our Nerd Club! Subscription-based and pre-pay options available. Get access to exclusive sections of our website: Livestream DVR (view recordings of all livestreams! ), members-only chat room and forum, members-only Discord channel.